I have never seen Vancouver so electric, so dynamic, so alive. 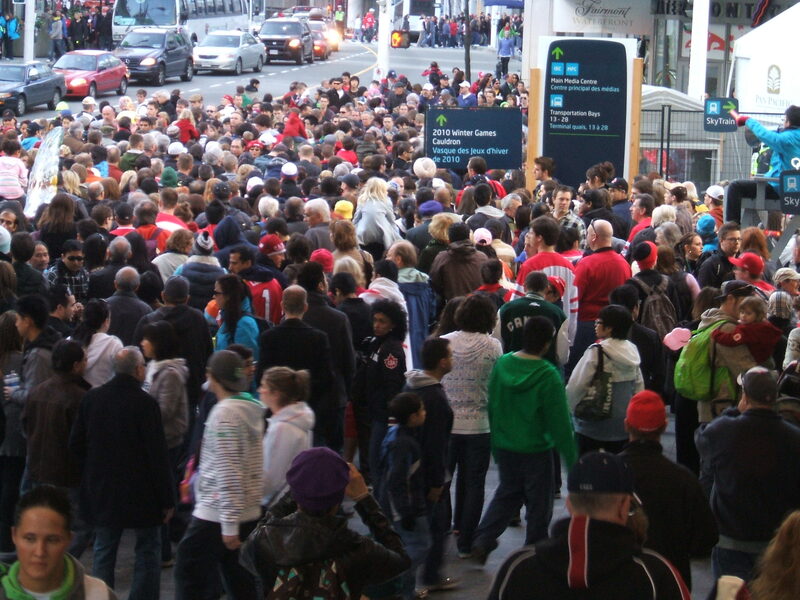 When Vancouver won the Olympic Men’s Hockey game, more than 500,000 Vancouverites flooded the streets, so many that the police had to temporarily shut down the bus system. Canada who has never won Gold when twice before hosting the Olympics, was privileged to win 14 gold medals, the largest number ever won by any country. 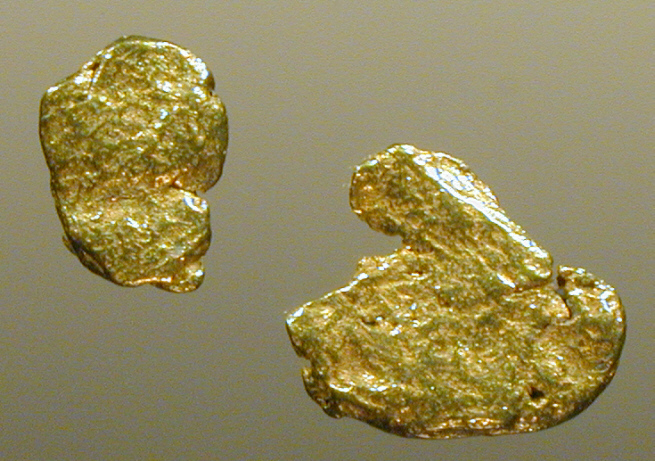 In the midst of Canada’s unexpected Gold Rush, the Body of Christ was there pointing to More Than Gold. 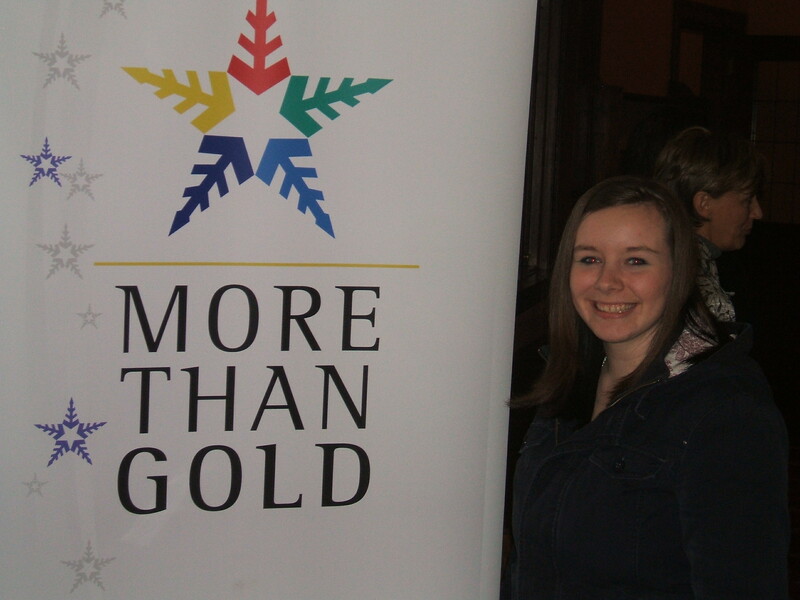 More Than Gold is a movement of churches that gathers at each Olympics to let people know that while winning gold is exciting, there is something worth more than gold: the good news of Jesus Christ. 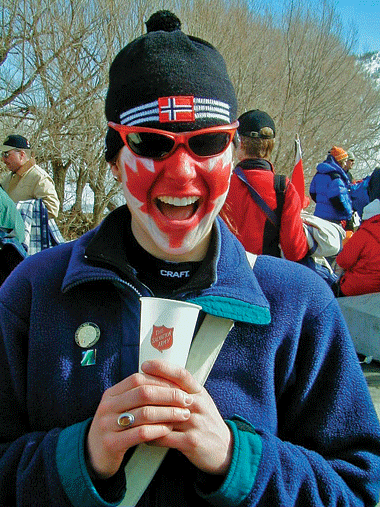 The Christians in Vancouver have been preparing for years for this 17-day Olympic outreach. We have extensive training by the Billy Graham people, Campus Crusade for Christ/Power to Change, Alpha, and many others. Serving as an Anglican representative on the MTG Executive Committee, I was impressed by the phenomenal response of the local churches with over 4,000 people volunteering to serve. Perhaps the biggest hit was the over 600,000 cups of free coffee and hot chocolate handed out at skytrain, subway, and bus stations. The buzz around the complimentary hot coffee was palpable. As one of the 40 Community Chaplains, I was able to visit many Olympic pavilions and More Than Gold concerts, sharing the love of Jesus Christ in word and deed. Tens of thousands of Olympic visitors were willing to receive the high quality More Than Gold literature with its focus on Olympic athletes who profess Christ. The Pocket Guide sponsored by the Billy Graham Association and produced by More Than Gold was a big hit, with its free maps and personal testimonies by Athletes. Based on loving conversations, many visitors were happy to receive special Olympic-edition Gospels of Mark produced by the Canadian Bible Society. 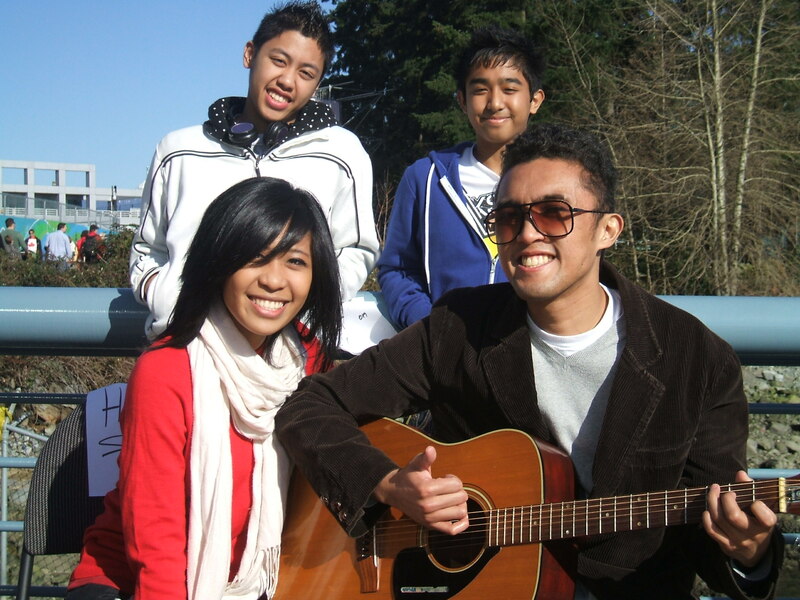 Over 1,100 missionaries came to Vancouver from North America and around the world, including over 180 YWAM youth who did street drama, served coffee, and set up ‘free prayer’ stations. Seldom have we seen Christians work so well together in reaching out in mission. Virtually all faithful churches were involved in this once-in-a-lifetime opportunity. Many served free coffee and hot chocolate at 4:30 am in the morning to people going to the Cypress Mountain Olympic site. They came back from doing this, excited and grateful to God. Christians in Vancouver are asking ‘what can we do together in the future?’ Please keep us in prayer in Vancouver that this new ‘unity for the sake of mission’ momentum will be maintained for the sake of the lost. Categories: Olympics, sports, Uncategorized | Tags: Alpha, Anglican, Anglican Coalition in Canada, Anglican Mission, Anglican Mission in the Americas (Canada), Anglican Network in Canada, Billy Graham, Body of Christ, Campus Crusade for Christ, Canada, Christ Awakening, Cypress Mountains, gold, More Than Gold, Olympic Men's Hockey game, Power to Change, Renewal Mission 2010, St. Simon's Church North Vancouver, Vancouver, Winter Olympics, YWAM | Permalink. Vancouverites put tremendous energy into the Winter Olympics. The lengthy preparations were indeed a marathon. The world’s most famous Olympic race is the marathon. The original Battle of the Marathon in 490 B.C was just twenty-two miles from embattled Athens. A Greek soldier ran all the way, day and night, to Athens to give his dying words: “Rejoice. We have conquered”. There were many gold medals won by Canadian athletes. Winning is exciting. Many athletes realized that the Olympics are about more than gold, more than just winning. Olympics co-founder Pierre de Coubertin, inspired by a sermon at St. Paul’s Cathedral in London, wrote the following ‘creed’ for the Olympics: “The most important thing in the Olympic Games is not to win but to take part, just as the most important thing in life is not the triumph but the struggle. The essential thing is not to have conquered but to have fought well.” The Christian community in Greater Vancouver came together for the Olympics across denominational and ethnic barriers to affirm that life is about more than gold. The wider Christian community played its part in truly welcoming the world to Vancouver. Many athletes shared their experiences of what it is like to win medals, and what is worth more than gold to them. You can watch them online. Probably one of the most famous ‘Olympic runners’ is the apostle Paul, a former Rabbi who was knocked off his horse while racing to Damascus, Syria. He often used Olympic Marathon language to communicate his heart: “Do you not know that in a race all the runners run but only one gets the prize? Run in such a way as to get the prize. Everyone who competes in the games goes into strict training. They do it to get a crown of laurel that will not last; but we do it to get a crown that will last forever. Therefore I do not run like a man running aimlessly…” (1 Corinthians 9:24-26). The Vancouver Olympics came in like a storm and then was gone. The Gold medals were soon a distant memory. The lasting question is how your daily marathon is doing? Are you stretching each day towards the finish line? Are you running the race of life in such a way as to get the prize? Life is truly about more than gold. My prayer for the various Olympics around the world is that the love of God will pour through us in the gift of hospitality so that the world will come to know the prize that lasts forever. Categories: Olympics, sports, Uncategorized | Tags: 2010, Anglican Mission in the Americas (Canada), Athens, Beyond the Ultimate, Bishop Michael Baughen, Damascus, Dr William Barclay, gold, Greece, Marathon, More Than Gold, Olympic, Olympics, Paul, Pierre de Courbertin, prize, Rabbi, relay, Ryan Walter, St Paul's Cathedral, Syria, Vancouver, Vancouver Canucks | Permalink.